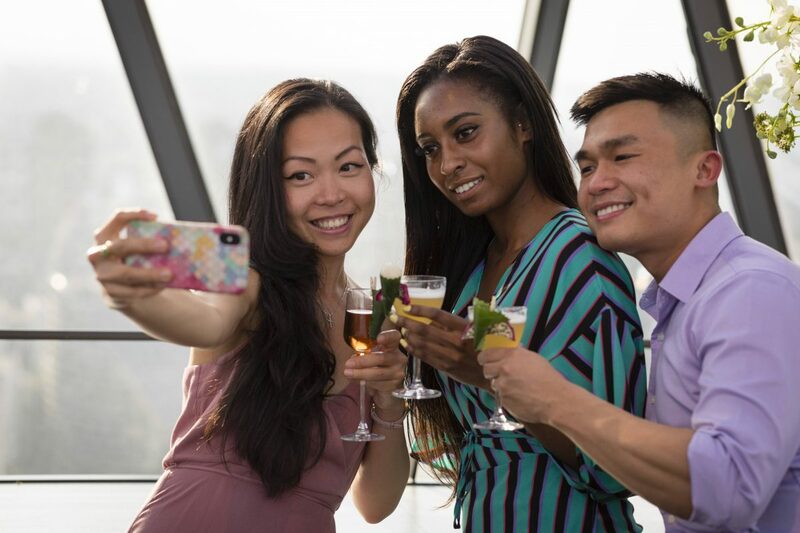 Overlooking London on level 40, IRIS bar is the eye of the city. The most intimate connection you will get to the sky – at the very top. While the bar name was drawn from the Gherkin’s iris-shaped peak, the rich palette of imagery used throughout the interior is also heavily inspired by the building’s geometric details. Looking for a great place to host your event, we have availability on open nights for pre-booked group bookings in our Iris bar, choose from one of our fabulous packages. Hire a semi-exclusive area in the IRIS bar on any open evening confirmed five weeks prior to your event date.